Want to be notified of new releases in timgaripov/dnn-mode-connectivity? by Timur Garipov, Pavel Izmailov, Dmitrii Podoprikhin, Dmitry Vetrov and Andrew Gordon Wilson (NIPS 2018, Spotlight). 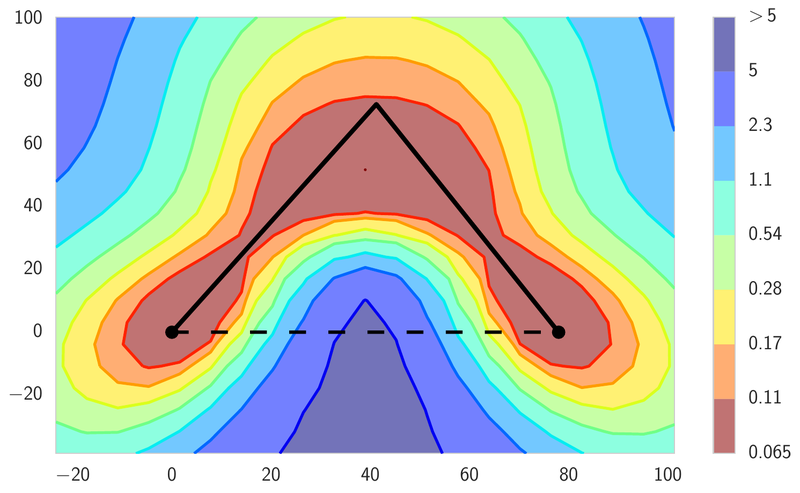 Traditionally the loss surfaces of deep neural networks are thought of as having multiple isolated local optima (see the left panel of the figure below). We show however, that the optima are in fact connected by simple curves, such as a polygonal chain with only one bend, over which training and test accuracy are nearly constant (see the middle and right panels of the figure below) and propose a method to find such curves. 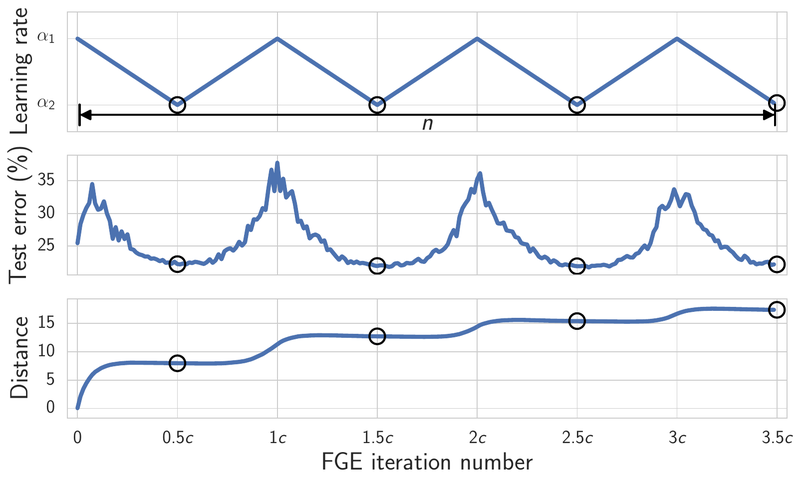 Inspired by this geometric observation we propose Fast Geometric Ensembling (FGE), an ensembling method that aims to explore the loss surfaces along the curves of low loss. The method consists of running SGD with a cyclical learning rate schedule starting from a pre-trained solution, and averaging the predictions of the traversed networks. We show that FGE outperforms ensembling independently trained networks and the recently proposed Snapshot Ensembling for any given computational budget. The code in this repository implements both the curve-finding procedure and Fast Geometric Ensembling (FGE), with examples on the CIFAR-10 and CIFAR-100 datasets. Use the --use_test flag if you want to use the test set instead of validation set (formed from the last 5000 training objects) to evaluate performance. Once you have two checkpoints to use as the endpoints you can train the curve connecting them using the following comand. Use the flags --fix_end --fix_start if you want to fix the positions of the endpoints; otherwise the endpoints will be updated during training. See the section on training the endpoints for the description of the other parameters. See the sections on training the endpoints and training the curves for the description of other parameters. 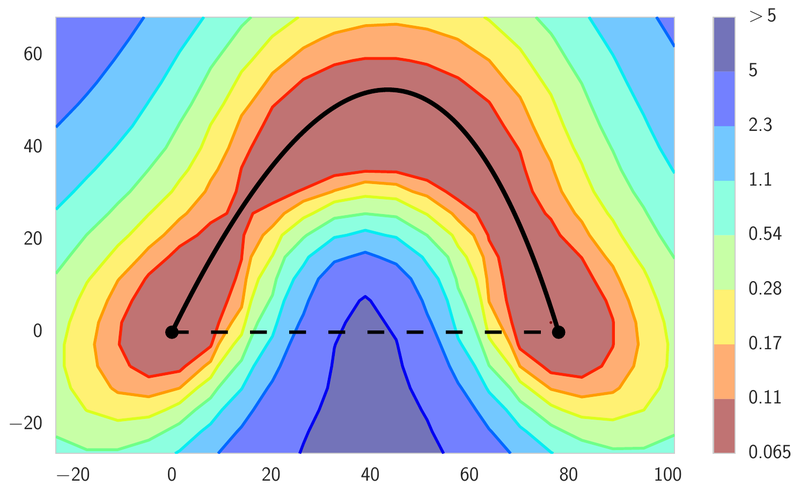 eval_curve.py outputs the statistics on train and test loss and error along the curve. It also saves a .npz file containing more detailed statistics at <DIR>. In the table below we report the minimum and maximum train loss and test error (%) for the networks used as the endpoints and along the curves found by our method on CIFAR-100. Below we show the train loss and test accuracy along the curves connecting two PreResNet164 networks trained with our method on CIFAR100. In the table below we report the minimum and maximum train loss and test error (%) for the networks used as the endpoints and along the curves found by our method on CIFAR-10. See the section on training the endpoints for the description of the other parameters. In the Figure below we show the learning rate (top), test error (middle) and distance from the initial value <CKPT> as a function of iteration for FGE with PreResNet164 on CIFAR100. Circles indicate when we save models for ensembling. Test accuracy (%) of FGE and ensembling of independently trained networks (Ind) on CIFAR-100 for different training budgets. For each model the Budget is defined as the number of epochs required to train the model with the conventional SGD procedure.